Dark Margins: A Review of Lillian Craton's "The Victorian Freak Show"
n 1835, the Belgian mathematician Lambert Adolphe Quetelet condensed more than a decade's worth of statistical research into his famous construct of l'homme moyen, the "average man," an ideal developed from measurable physical attributes such as body size. From this research, Quetelet hoped give social scientists a tool to measure and eventually predict any person's likelihood of engaging in behaviors that could affect the social order, such as whether a person might develop a penchant for courageous or criminal acts (Porter 48-50). 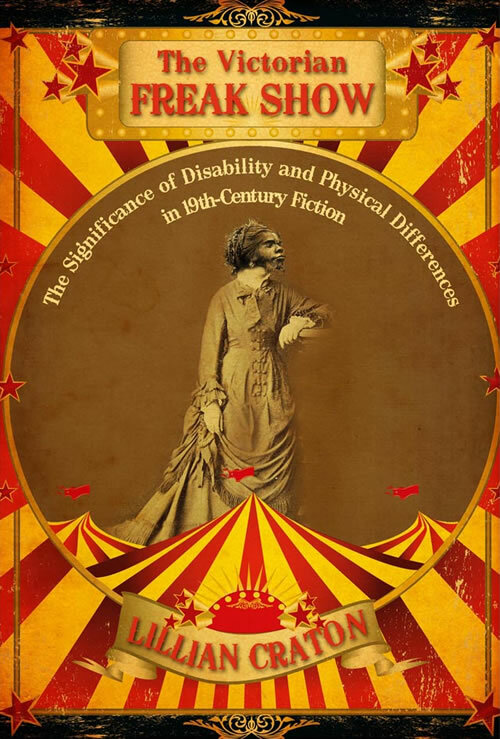 In The Victorian Freak Show: The Significance of Disability and Physical Differences in 19th-Century Fiction, Lillian Craton uses Quetelet's homme moyen as a point of departure for her analysis of the meanings of physical difference in Victorian fiction. By considering representations of grotesque, deviant, or otherwise "odd" bodies in mid- and late-nineteenth century fiction, Craton aims to present Victorian responses to "images of physical difference" (2) in all their complexity. Craton's position on the function of Victorian representations of bodily difference is certainly a hopeful one. In the large and varied cast of Victorian "odd bodies" Craton finds many reasons to see Victorian society as more inclusive and accommodating of difference than we are accustomed to imagine. At times, however, this appealing view is undermined by patchy analysis and shallow reading, especially of secondary material. The book consists of close readings of familiar texts interspersed with summaries of secondary writings that ought to have been condensed and relegated to footnotes in order to free space for more intensive work with a broader set of primary sources. While Craton's focus on female figures is sensible, at least insofar as every real and fictional Victorian woman represented at least some departure from Quetelet's "average man," it is difficult to say whether the "spectacle of human oddity" (35) that is Craton's focus is necessarily feminine or if the preponderance of female "odd bodies" here is an artifact of the research. Craton's use of Maupassant as a supplemental example raises a different but related concern about the boundaries of her analysis. Maupassant's national and literary context differed in important ways from Dickens', and the fact that both writers use stoutness to represent nurturing capacity adds little to our understanding of this familiar trope. Smaller missteps also grate: readers of Michel Foucault, for instance, will be surprised to discover that he was a New Historicist (9) and, more distressingly, that his analysis of power relations rested on his recognition that Bentham's panopticon produced a "judgmental gaze" (11) rather than a juridical one. I'm aware that I'm picking a nit, but my point is not altogether trivial. Although Craton's exploration of "odd bodies" tells a great deal about Victorian judgmental attitudes toward physical differences, it should not be confused with a structural analysis of the power relations that produced and sustained injustices toward real Victorian "odd bodies." Craton, Lillian. The Victorian Freak Show: The Significance of Disability and Physical Differences in 19th-Century Fiction. Amherst, NY: Cambria Press, 2009. Porter, Theodore. The Rise of Statistical Thinking, 1820-1900. Princeton: Princeton University Press, 1986.